T4DM study -Testosterone intervention in the prevention of diabetes in high risk men is a study looking to recruit men with pre-diabetes and a slightly lower than normal testosterone. The normal treatment for pre-diabetes is lifestyle change and the study investigates if adding testosterone treatment would make this standard treatment more effective. Do not have Type 2 Diabetes. A waist circumference 95cms or more. Are willing to participate in Weight Watchers. Are willing to be screened for blood glucose and testosterone levels. Are able to attend clinic visits at Concord Hospital, 11 times over a 2 year period. General practitioners (GPs) wishing to achieve optimum symptom control for terminally ill patients who choose to die at home now have access to a consensus-based medication list to assist their decision making. The list of nine medications was developed by a panel of 12 experts, including GPs, pharmacists, nurse practitioners and palliative medicine specialists, under the direction of The Australian & New Zealand Society of Palliative Medicine (ANZSPM). It represents the latest addition to ANZSPM’s resources for GPs under the Federal Government funded initiative, Decision Assist, a program to support GPs and aged care workers to provide palliative care and advance care planning to older Australians. ANZSPM’s Project Director, Professor Liz Reymond, who led the expert committee, said the new evidence-based medication list is appropriate for dying patients who are unable to swallow, and targets symptoms including pain, dyspnoea, nausea and vomiting, agitation and delirium, and respiratory secretions. Selection criteria for the medications to be considered in the list included cost, simplicity of use, ease of storage, safety and efficacy. “More and more people are dying expected deaths and most people want to die at home,” said Dr Reymond, who is a palliative medicine specialist with a GP background. 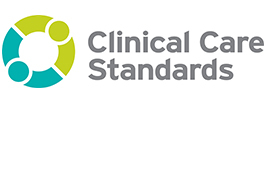 The Australian Commission on Safety and Quality in Health Care (the Commission), in collaboration with consumers, clinicians, researchers and health organisations, has developed the Acute Stroke Clinical Care Standard to improve the early assessment and treatment of stroke. It covers timely recognition of stroke symptoms, rapid assessment, early management and early initiation of an individualised rehabilitation plan. These resources will assist clinicians, consumers and health services to improve the safety and quality of care.